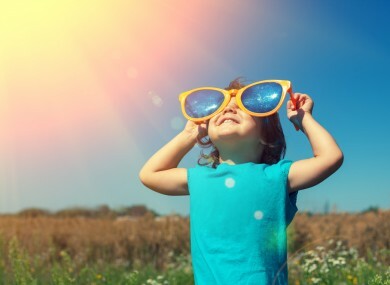 TODAY AND TOMORROW are set to be the hottest days of the week with highs of 25 degrees. This mornings dense fog will lift to give a very warm and sunny day and tonight will stay warm with lowest temperatures of just 11 to 13 degrees. Tomorrow will be another warm and sunny day with highs of 25 degrees once the early morning fog clears. However, Met Eireann warns that cloud will increase along western coastal counties during the day with outbreaks of showery rain developing, some becoming heavier and more widespread towards the evening. The weather looks set to turn on Saturday with heavy spells of showery rain continuing in many parts of the country during the morning. A gradual clearance is forecast from the south through the afternoon with the rain finally clearing the north coast of Ulster in the evening. Sunday looks set to be a dry, bright and fresh day with spells of sunshine coming and going throughout the day and highest temperatures of 18 degrees. Email “Highs of 25 degrees today and tomorrow but rain coming for the weekend”. Feedback on “Highs of 25 degrees today and tomorrow but rain coming for the weekend”.